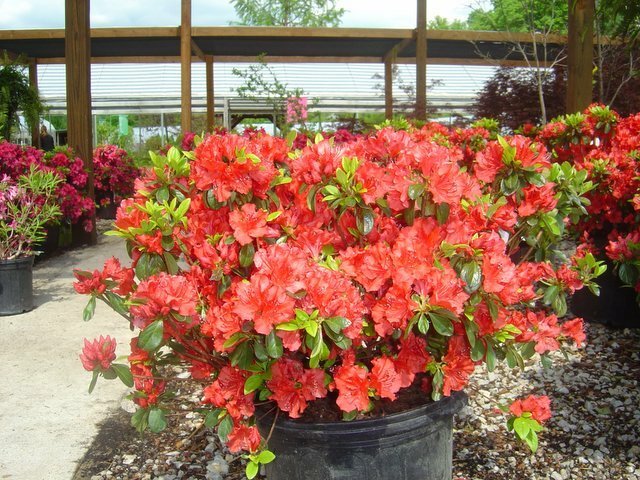 ONE OF THE MOST BEAUTIFUL FLOWERING SHRUBS IN NATURE IS DEFINITELY THE AZALEA. 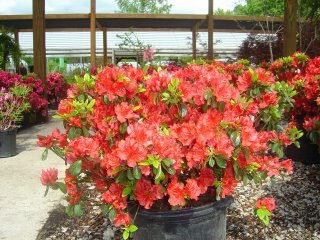 FOR THE LARGEST SELECTION OF AZALEAS IN THE MIDWEST, GREENSCAPE GARDENS. THE SHADEHOUSE IS BRIMMING WITH 10 DIFFERENT VARIETIES OF AZALEAS. PLUS A GREAT SELECTION OF RHODIES. WOULDN'T YOU PREFER THE FLOWERS IN YOUR GARDEN THAN GREENSCAPE GARDENS.